Charming, wealthy and wickedly handsome, Oliver "Beau" Blackthorn has it all...except revenge on the enemy he can't forget. Now the opportunity for retribution has fallen into his hands. 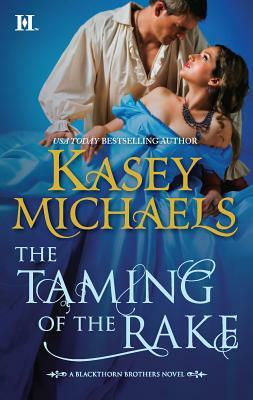 But his success hinges on Lady Chelsea Mills-Beckman--the one woman with the power to distract him from his quest. Desperate to escape her family's control, Lady Chelsea seizes the chance to run off with the notorious eldest Blackthorn brother, knowing she's only a pawn in his game. But as Beau draws her deep into a world of intrigue, danger and explosive passion, does she dare hope he'll choose love over vengeance? "Kasey Michaels aims for the heart and never misses."